Salads don’t have to be boring nor do they needs to be loaded down with tons of fatty dressings to be tasty! 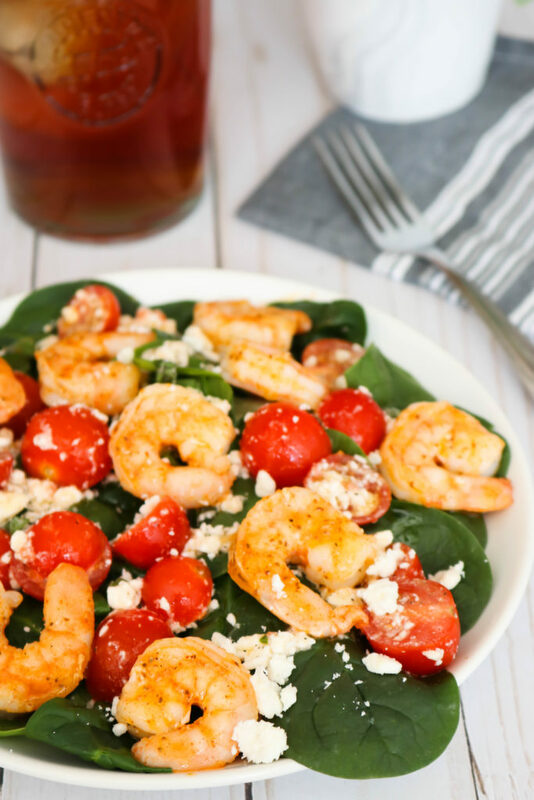 This Shrimp Feta and Tomato Salad is full of seasoned shrimp, feta cheese, fresh tomatoes and dressed with a wonderful light dressing! We have a little spot around here called “The Brown Bean” that serves up coffee, soups, sandwiches and super tasty salads. I think I love their salads so much because they are always topped with delicious combinations and aren’t your average, boring chain restaurant salads. They also aren’t loaded with tons of dressing (which I normally like a lot of dressing) but the flavors of the salad toppings make up for that. 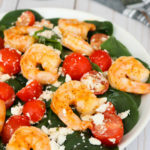 When I saw this Shrimp Feta and Tomato Salad recipe in a sugar detox book that I bought at Barnes and Noble it reminded me of the salads at The Brown Bean and went straight onto our meal plan for the week. After a few of these tasty salads I knew that I wanted to share this recipe with y’all. 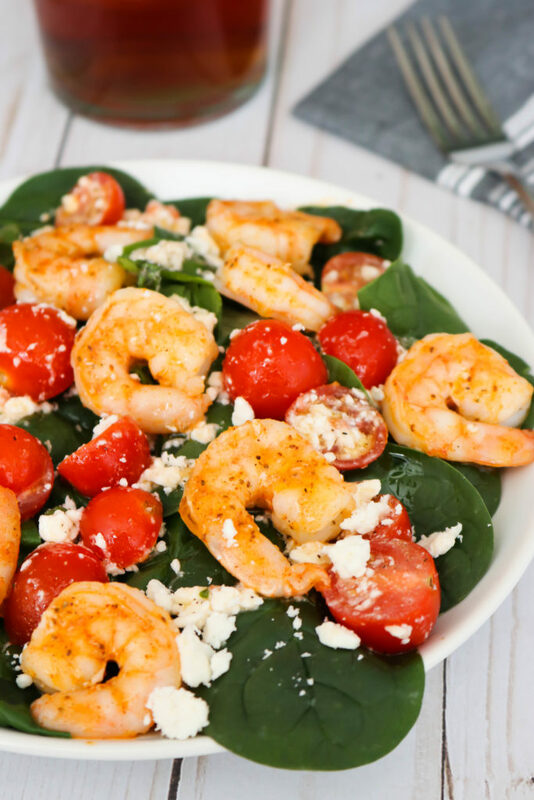 I changed it up a bit from the original salad in the cook book, I swapped out the lettuce for fresh spinach and seasoned the shrimp with Old Bay Seasoning. I also added more tomatoes because, YUM, tomatoes haha. Picking the shrimp: Fresh or Frozen? Although we do live in a state that butts up to the ocean with a good coast line we are a good 4 hours from the coast which means fresh shrimp is hard to find around here. When we do find it, it’s normally frozen shrimp that’s just been thawed or it’s outrageously priced. So with that being said, I’d say that 99% of the recipes I made that involve shrimp are made with frozen shrimp that we thaw at home. I also normally always try to buy frozen shrimp that already has the shell peeled and veins removed for recipes like this. It saves me time in the kitchen! Unless I’m making something like garlic shrimp where I want the shells on while it cooks, I prefer to skip that part of the shrimp work. I normally always try to buy frozen shrimp that already has the shell peeled and veins removed for recipes like this. 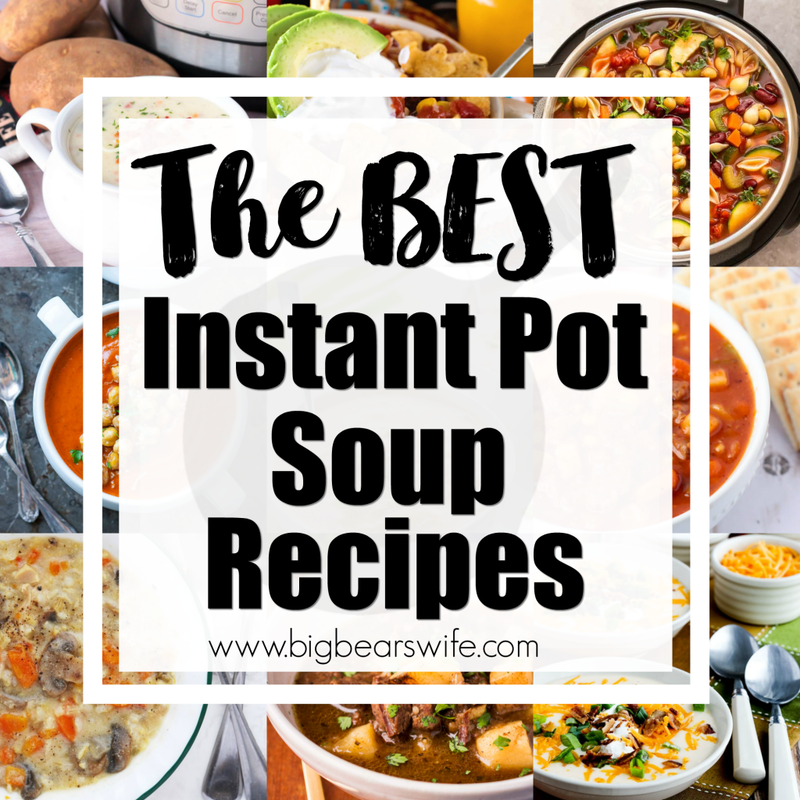 It saves me time in the kitchen! 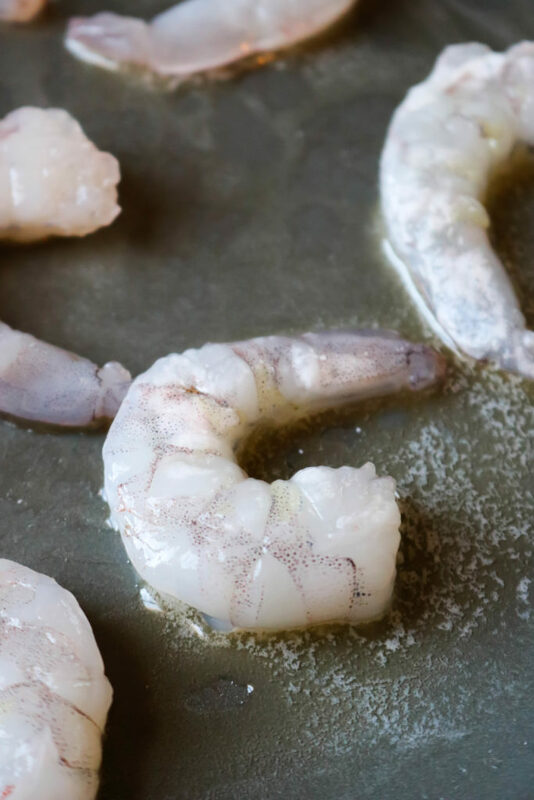 Plus, when you buy them with the shells and veins already removed, you can just toss them into the pan after they defrost, you don’t have to defrost them and then stand over the sink and peel each one and pull the veins out one shrimp at a time. 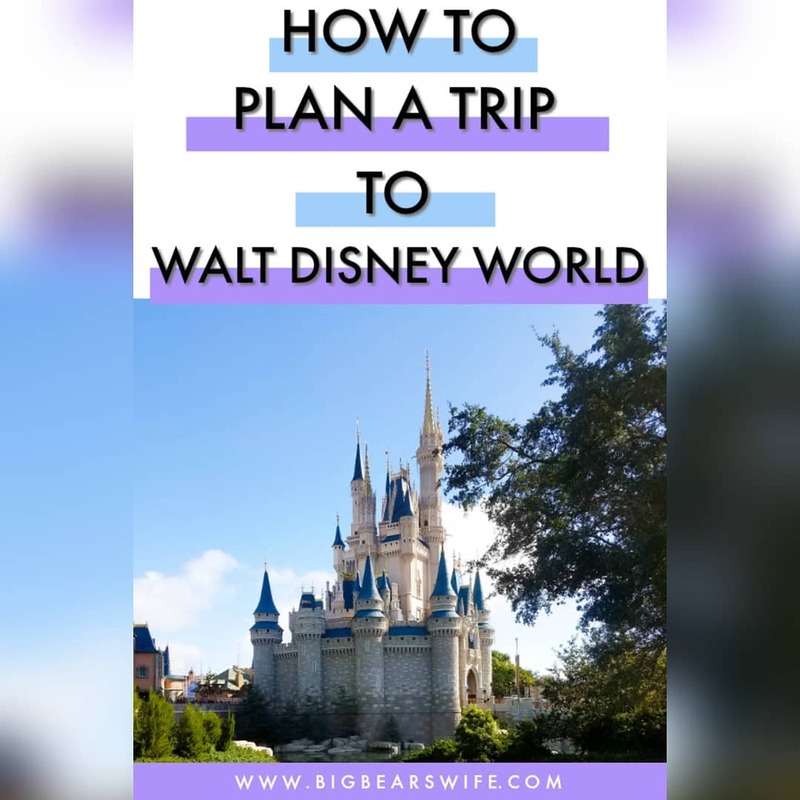 For this recipe I used Large Shrimp (Large for the bag I used was labeled as 31-40 shrimp per pound) – If you look at the side of the bag when you’re buying frozen shrimp it will tell you the size but it will also tell you the count per pound. 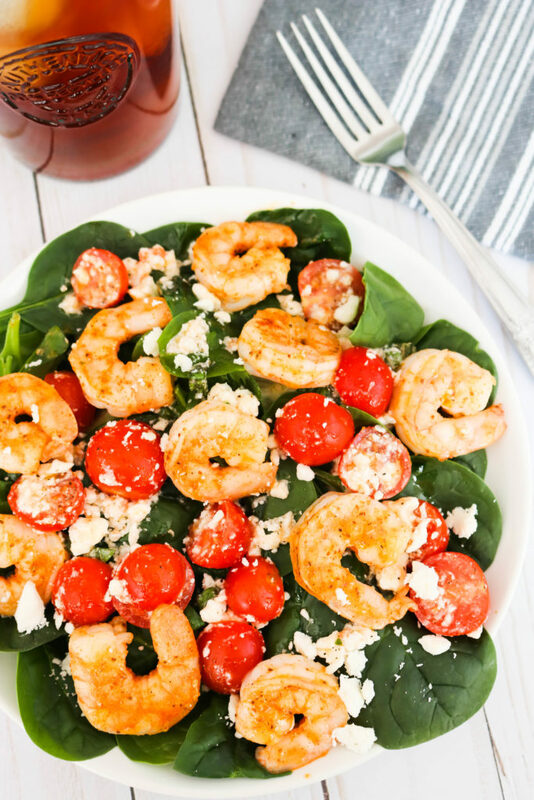 Of course you can use any size shrimp you want for this salad. Just adjust the cooking time a bit if you use different sizes because tiny shrimp won’t need to cook as long as colossal size shrimp. 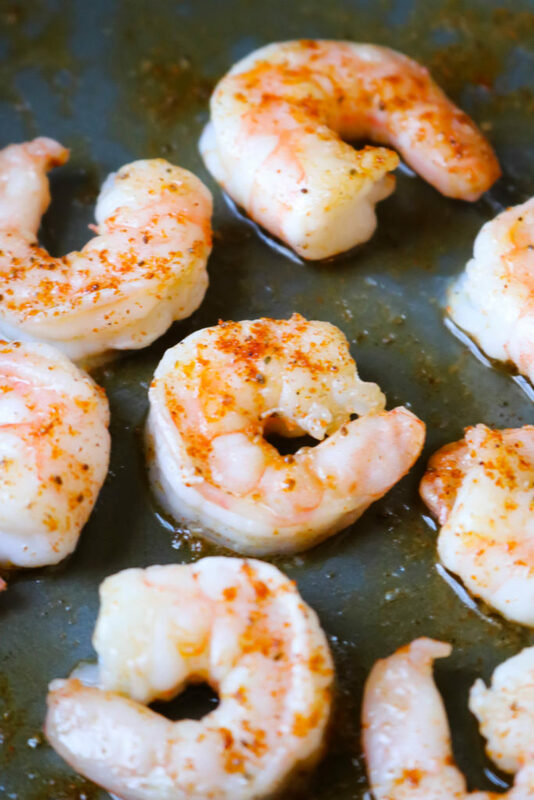 My husband loves to use Old Bay Seasoning when he cooks shrimp so that’s normally what I reach for when I’m cooking shrimp out of habit. I have tired this recipe with Mrs. Dash Salt Free Garlic and Herb seasoning and just regular salt and pepper but I keep coming back to the Old Bay Seasoning. 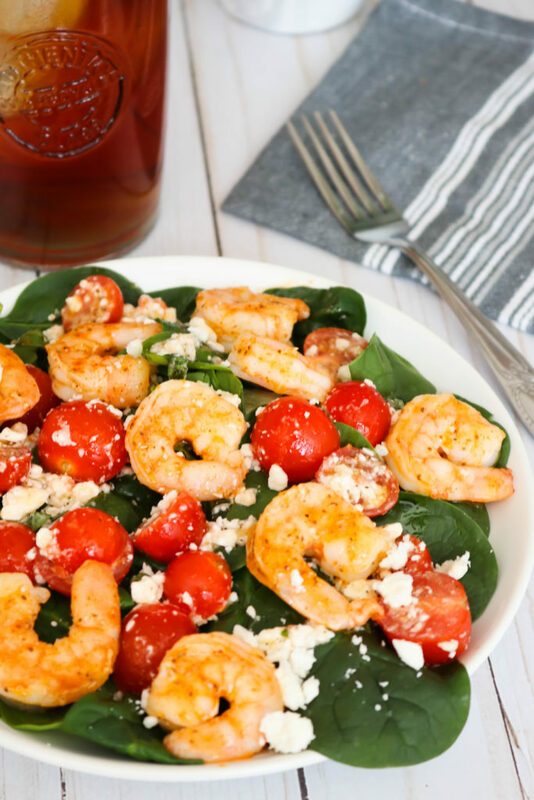 So try the Old Bay to season the shrimp for this salad but don’t be afraid to try some new seasonings for them. 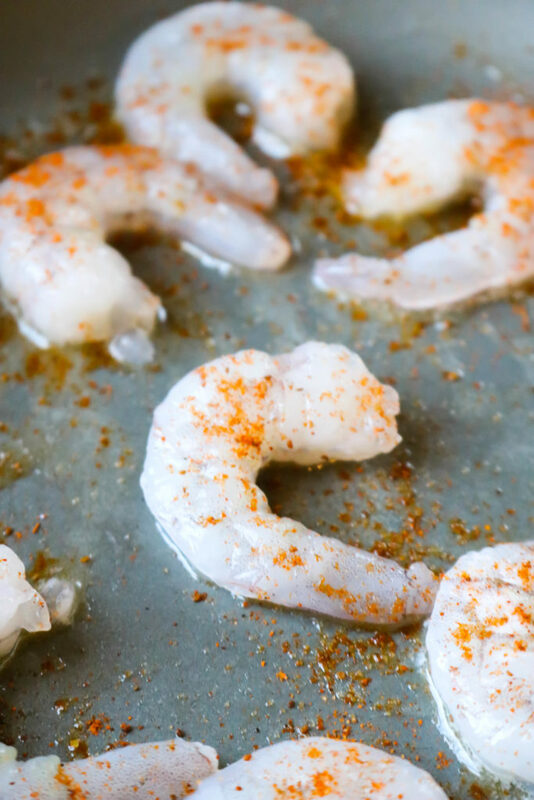 It can be easy to over cook shrimp if you’re not paying attention while you’re cooking. Over cooked shrimp are chewy and rubbery. Unless you like chewy and rubbery shrimp make sure that you’re paying attention to them while they cook. Depending on the size of the shrimp they really only need about 3-5 minutes before they’re done. Just season them and sauté over medium heat until they just turn pink and start to curl into a “C”. 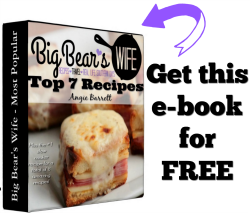 As I always say, make this recipe yours! 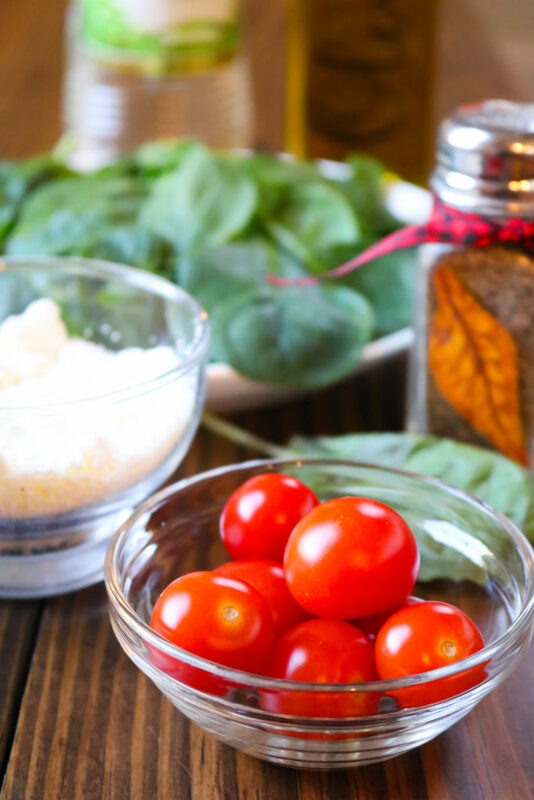 Change up the seasonings, add some new toppings and experiment with different dressings to make the perfect recipe for YOU. For the recipe listed though, I stayed away from heavy dressings and went with a oil and vinegar dressing mixed with a few toppings. 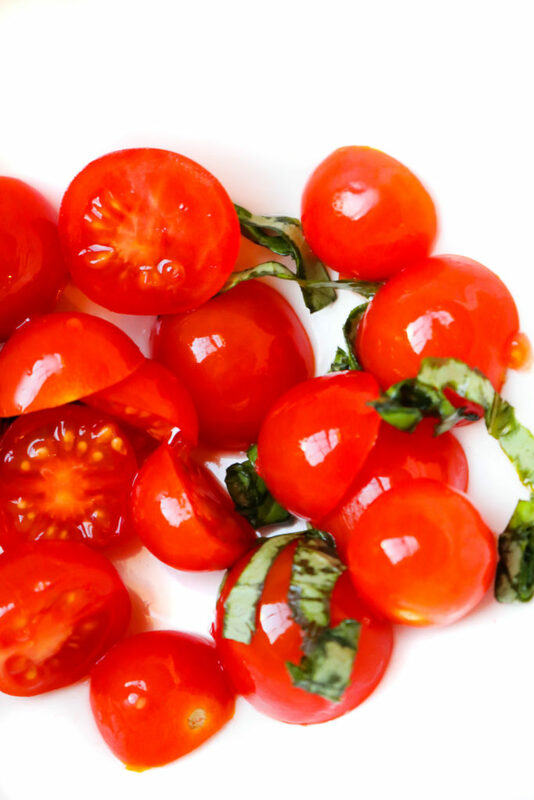 Cherry tomatoes cut in half with a bit of chopped basil tossed into a bowl starts it off. Then add 1 tablespoon of Olive Oil or Extra Virgin Olive Oil and stir in a tablespoon of white wine vinegar to that. 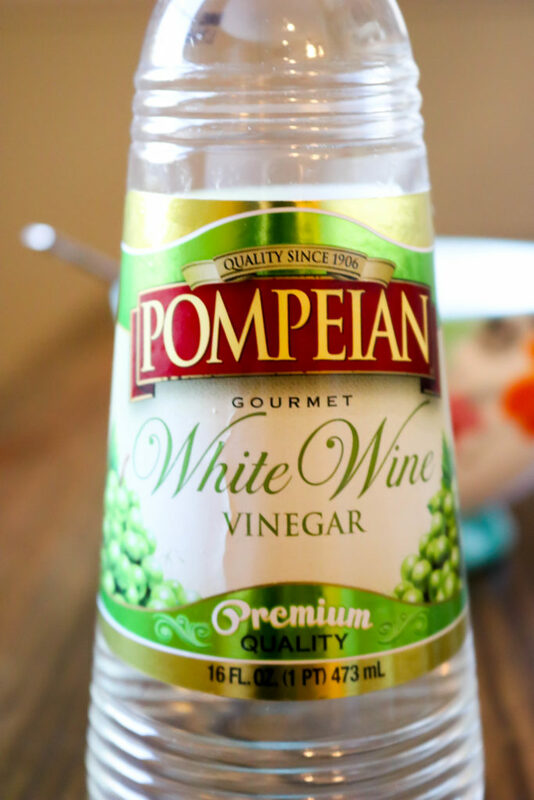 This post has nothing to to with this brand of white wine vinegar but I wanted to show you what I used because I know the internet and if I didn’t show a picture someone would end up using straight vinegar and then comment to let me know that their dressing smelled and tasted like cleaning agent. Make sure it is white WINE vinegar and not plain ol’ vinegar. Then after a mix, add in the crumbled feta cheese, whisk it around a bit and it’s ready for the salad! Play around with the amount of olive oil too. Sometimes if I add a little too much feta cheese I find that I need a bit more olive oil in my dressing to get to the consistency that I like. I don’t like shrimp! Can I use something else? Of course you can! To make it simple, use shredded rotisserie chicken or packs or tuna. Really you can use anything you’d like or leave shrimp and meat out all together. 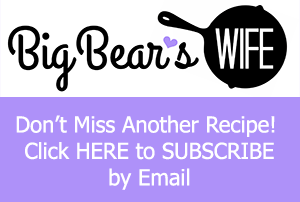 Can I use regular vinegar instead of white wine vinegar. I’m not one to tell you that you can’t BUT it’ll probably come out tasting and smelling like cleaning product. Try to stick to white wine vinegar. What about balsamic instead of white wine vinegar? I haven’t tired that combo for this salad but I know that balsamic and oil go great together. Could I substitute margarine or coconut oil for the butter? You can! Same amount and same cooking time. I don’t like feta cheese, what else can I use? Gorgonzola would be a good option or even fresh mozzarella! No Spinach here! Anything else I can use? The original recipe called for butter lettuce but I switched it out to spinach because that’s what I like. 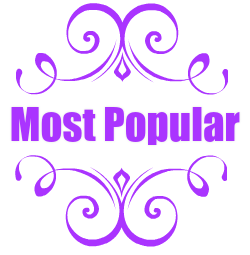 You would also use iceburg lettuce or romane! 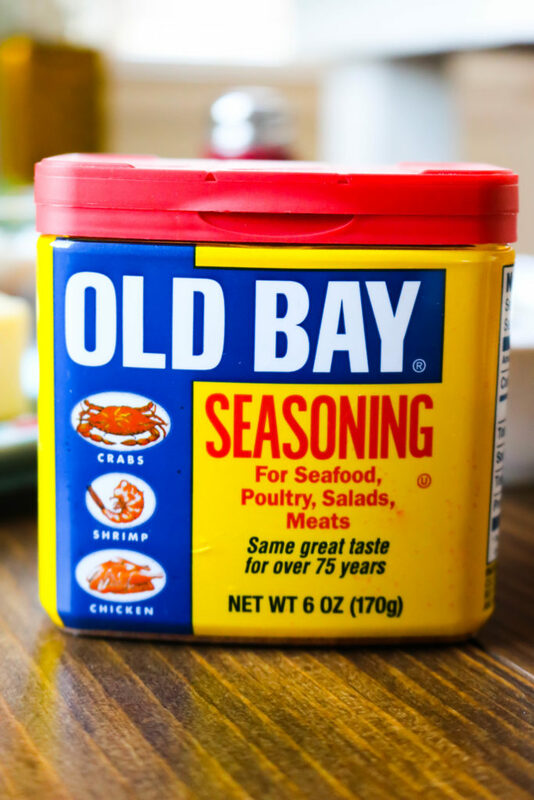 I don’t have Old Bay. What else can I use? No problem! 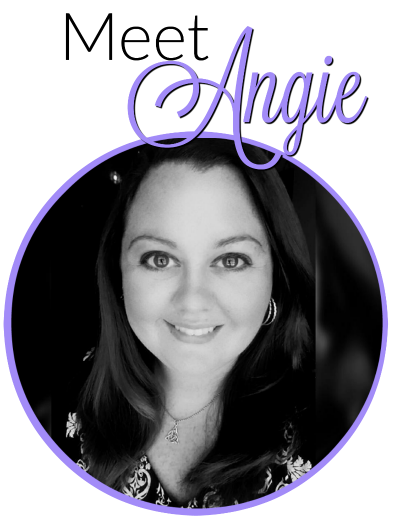 You can use any seasoning you like or just regular salt and pepper! 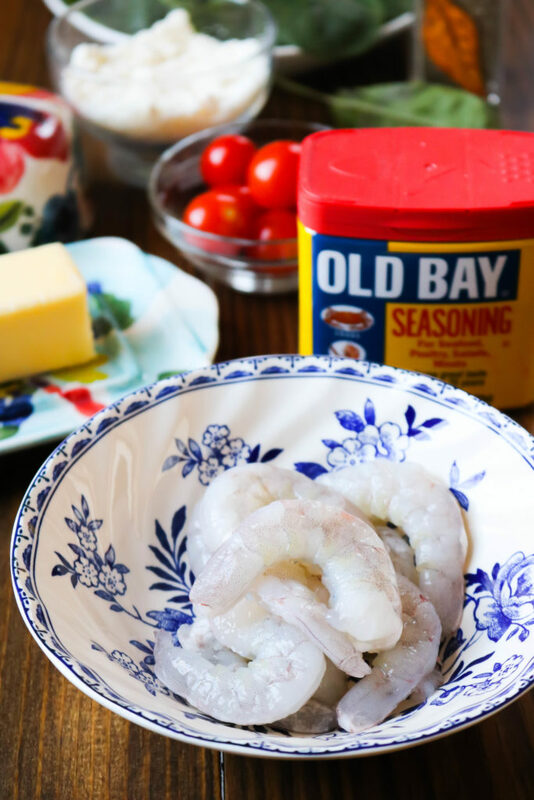 If you want to try your hand at making your own Old Bay at home Trish from Mom on TimeOut has a homemade recipe! Add shrimp and season with Old Bay Seasoning. Cook shrimp for 2-3 minutes, flip and cook for 2-3 minutes or until shrimp is pink and slightly curled. Remove shrimp from heat and set aside. 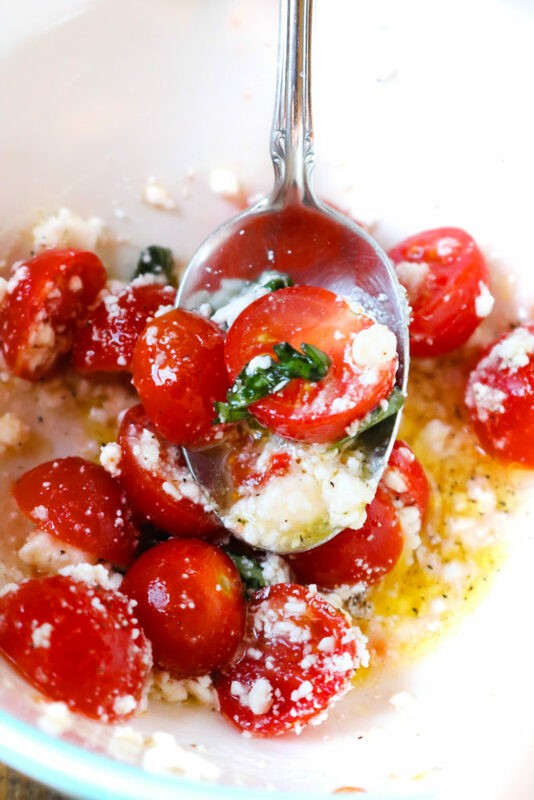 In a bowl, combine cherry tomato halves, chopped basil leaf, Olive Oil, White Whine Vinegar, pepper and feta cheese. Stir to combine. Lay spinach leaves on a plate or in a bowl. 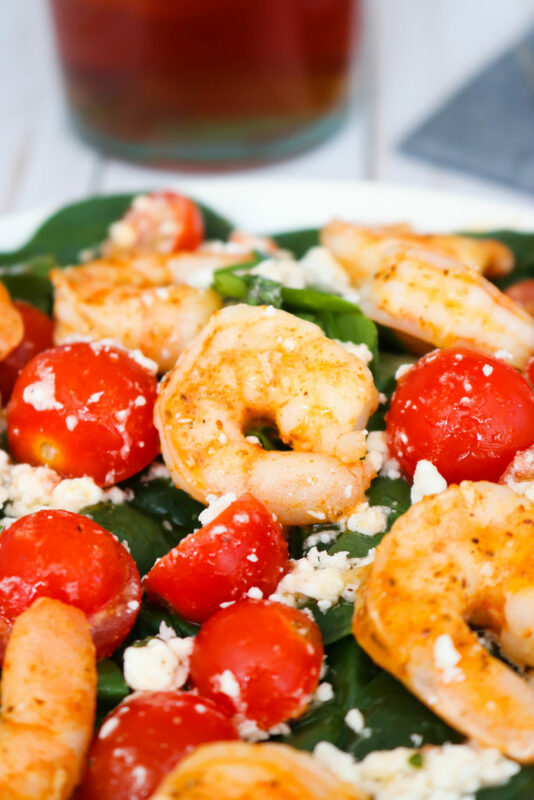 Top with tomato feta dressing and add shrimp.